Helllloooo beautiful, spirited, brightly-shining, ambitiously-driven, impactful and brilliant soul. We have designed an event, specifically for you, to invite you to player a bigger game and, in turn, make a bigger impact on the world. A space where you can show up fully, be seen for you, who you truly are. ​A space where you will be celebrated for your story + success. A space where the impact you are making on the world is just as important as your financial stats, if not more. We are calling all soulful leaders, new business dreamers, side hustle starters, light workers + healers, writers, strategists and good-hearted women who desire to connect, be heard + seen and leave playing a bigger game than ever before. Where you will experience deep connection, support, expansive branding and business ideas, and golden opportunities for you to be VISIBLE with your message, brand and business. YOUR MESSAGE SHOULD BE SHARED + HEARD. YOUR TIME IS NOW. ALL LIGHT LEADERS, COACHES, AUTHORS, VISIONARIES, ONLINE ENTREPRENEURS & PASSION SEEKERS. Kate Butler, CPSC, is a #1 Best-selling and International Award-Winning Author, Inspirational Speaker and Intuitive Success Coach. To date, she has published 8 books of her own, including the best-selling Inspired Impact Series, which includes the titles Women Who Ignite, Women Who Inspire, Women Who Influence, and Women Who Impact. Kate’s publishing company, Inspired Impact, has respectively published 91 #1 Best-selling Authors through her private author mentoring. Her books have won the prestigious International Readers Favorite Award™ and Mom’s Choice Award™ and have stayed on the best-selling charts for over 100 weeks straight. 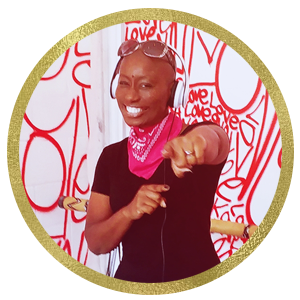 Her soulful mission is to guide people to activate their core brilliance so they positively impact people’s lives and ignite their own. 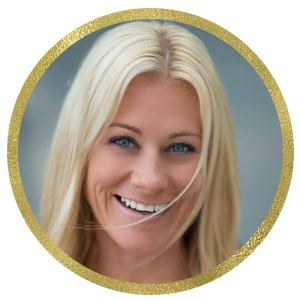 In pursuit of this mission, Kate has impacted thousands of lives through her books, keynote speeches, live events and coaching programs in her business as a Intuitive Success Coach. As a speaker, she has graced stages with the likes of Jack Canfield, Marianne Williamson, Patty Aubery and Laura Vitale. Kate’s work has been featured and seen on HBO, Sesame Street, PHL17 Morning Show, The Huffington Post, Fast Company, FOX and NBC. The Huffington Post has coined the phrase, “Kate Butler is the real deal.” Her philosophy to love more, give more, and care more than necessary runs central in all of her endeavors. As President of The Canfield Training Group, she has not only overseen the growth of the publishing industry’s first billion-dollar brand in Chicken Soup for the Soul®, but she’s also created a multi-million dollar training company around the success principles of author Jack Canfield. From his early days as an emerging self-esteem expert to a becoming a world-renowned public figure as America’s #1 Success Coach, Patty Aubery has been the guiding force—overseeing every deal and watching literally millions of people access the training and insights Mr. Canfield has to offer. She helped build a licensing division that spanned retail merchandise in dozens of categories including greeting cards, collectibles—even pet food. And, she played a primary role in the globalization of The Canfield Training Group, eventually expanding its live training and coaching programs to 108 countries—including preparing thousands of emerging success trainers for professional careers in the transformational field. As the chief negotiator, rainmaker, developer, manager and champion of Jack Canfield’s career and companies, there isn’t a project, program, idea, opportunity, market or career move Patty Aubery doesn’t know intimately. 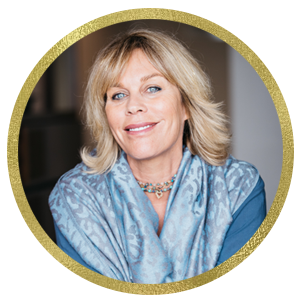 In addition to her executive experience and powerhouse Contact List, she has also lived the dream of many as a published author, media personality, executive mom, world traveler, avid meditator and lifestyle expert extraordinaire. We have invited healing experts to support us in our journey to become more Visible in our life and business. In order to be more visible, we must clear what’s holding us back in order to step forward more confident and clear. 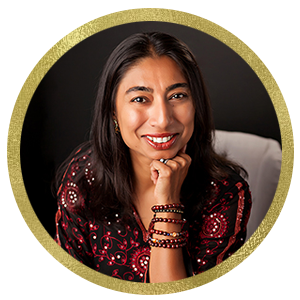 Shalini Saxena Breault is the Creator of Swan Goddess LLC, Co-Creator of Sacred Moon Fertility and Co-Founder of Blissful Warriors. Shalini is also a Co-Author in the #1 best-selling book, Women Who Influence and 365 Days of Angel Prayers. Additionally, Shalini is a Yin Yoga Teacher; Reiki Master and Teacher; Raindrop Therapy and HypnoFertility practitioner; and Co-Retreat Leader. Shalini was featured on RVNTV’s show called Open Mind with Barb Angelo. Shalini is passionate about and advocates sound healing through modalities such as Crystal Singing Bowls Meditation Sessions, Gong Therapy Sessions, Drum Meditation Sessions and Vedic Mantra Chanting classes. She also creates divinely-inspired mantra malas, bling apparel and workshops/classes. Shalini’s message is one of a journey from revolution to evolution. Her desire is for women to trust – without a doubt – the intuitive gift we are blessed to have as women. 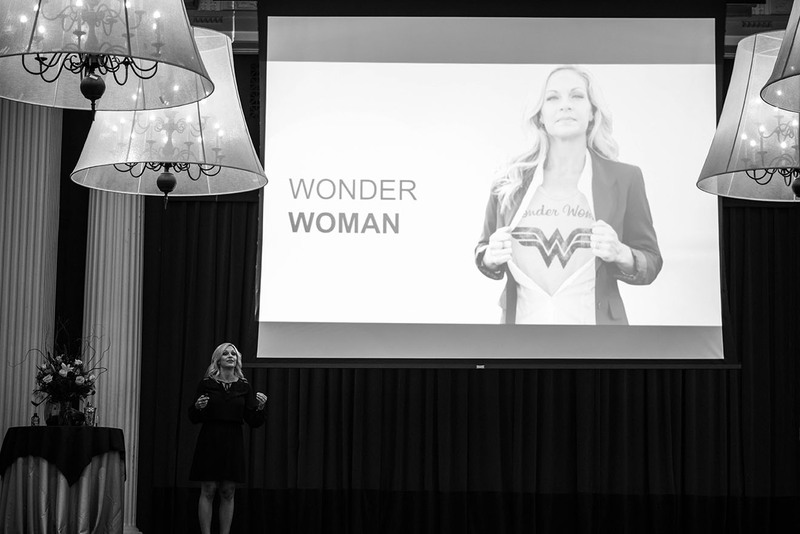 We have had and have all the answers we seek to be powerful and purposeful women – to be loving and gentle – to be inspiring and influential leaders and teachers – and to be courageous to stand for what we believe in. The change we wish for ourselves is and has always been inside us. It has been lying dormant for a long time. It’s time for us women to rise together and change the world. Prior to being on the spiritual path, Shalini obtained a BBA in International Business at Hofstra University in Long Island, NY, and a MBA in Finance at Pace University in New York City, NY. Katherine Wolff, is a Psycho-Therapeutic Intuitive, Reiki Master Teacher, Cranio Sacral Therapist and massage therapist. After being in a science based career for 20 years, she decided to take a new direction in life. Always interested in holistic healing and with a background in science and athletics, massage therapy was a perfect match. Through the years, her quest for knowledge has led her in many directions. She has been trained or certified in over 12 different massage modalities. Her knowledge also spans into the esoteric practices. She has been a Reiki Master Teacher for over 10 years. She is educated in Somato-emotional techniques (releasing emotional memory from the body), Emotional Freedom Technique (EFT tapping), Chakra Balancing, Sound Therapy and Crystal Therapy. The combination of Katherine’s healing journey, innate gifts, educational background and professional experience allow her to guide an individual to heal from past negative experiences and traumas which perpetuate unhealthy, self-sabotaging thoughts and behaviors. These negative experience creates blocks for an individual from their greatest potential of living in peace, harmony and a genuine love for life. Her goal is to be a guide and a support for an individual to discover, understand and come at peace with these past experiences and uncover an authentic, peaceful, healthy and loving self. Driving the blissful atmosphere across the country with an intuitive touch, DJ Ifa Halima Bumi is amplifying expos, major conferences and fashion events with solid EDM originals and experimental remixes seizing a unique applause from industry coordinators and attendees. Explosive and energetic this Hollywood lifestyle DJ is vibing crowds from LA Swim Week event in Los Angeles, House of Blues in New Orleans, Rock Your Voice Woman Live in NYC, Boston Proper fashion show in Ft Lauderdale, The Powerful Living Experience in Orlando, Vince Canning Delray Stiletto Race, Wings Over Pelican Grand Ft Lauderdale air show to name a few. It is without a doubt DJ Bumi is bringing an experience to her avid fans across the country and to the world. *We have secured a discounted rate when you use this room block. Rooms are limited. Click below to reserve! The closest airport to the event is the Philadelphia airport (PHL). 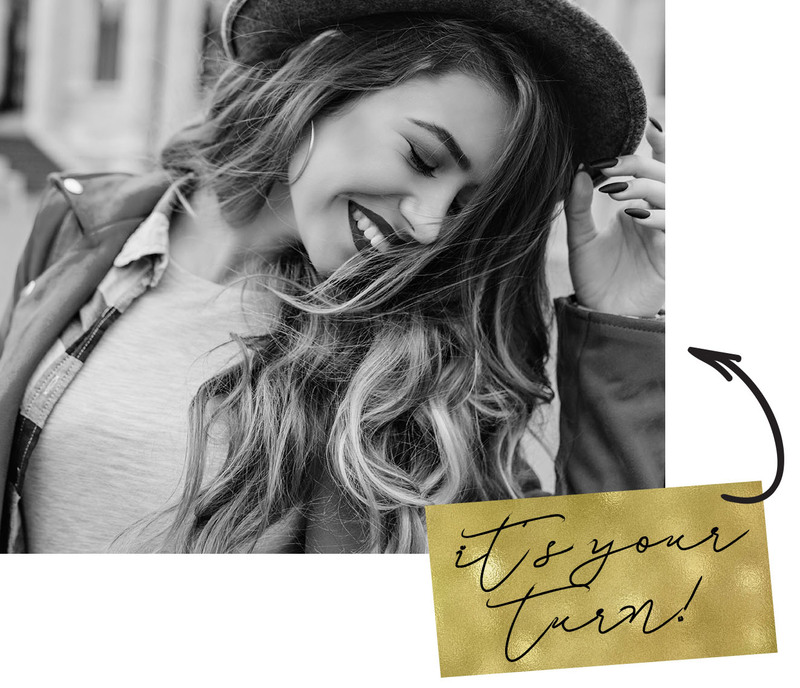 … finally being seen for who you truly are, what you stand for in the world and having the space to creatively curate that message to confidently share with the world. ARE YOU READY TO BECOME VISIBLE? Kate Butler is a phenomenal person who is doing amazing things. What she is doing with creating these platforms for women and through the work she is doing with her daughters, is she is passing it on. She has found her passion and is truly actualizing it. You can tell she is truly living her passion by looking at her. She radiates joy and her face lights up when she is coaching. You can see the joy that pours out of her and the inspiration that she gives to others is profound. Kate has found her path and her passion and she is living it fully and teaching others how to also live it fully. I would sign up again to be a co-author in Inspired Impact! What a wonderful experience this was!! But thanks to you Kate Butler, I’m writing an entire book or three…this project gave me the confidence and showed me that I can do it. I will admit, I was not sure in the beginning if I wanted to work with Kate to get my story out to the world. It did not have anything to do with Kate, because, as I am sure you’ve seen, the woman is a ray of energy 24.7. I was hestitant because I was not sure if anyone would care or learn from my story. I didn’t think it was tragic enough to share, as weird as that may sound. But, luckily, Kate saw it a completely different way. I learned there are thousands, if not millions , of people out there whose lives were out of balance, who were in overwhelm and who needed to climb out of their dark hole, just like me. My story showed them how I did this and helped show them a way out, as well, which I know has helped many, many women. The coaching program Kate provides is not just about books, she provides life, business and mindset coaching wrapped up all in one. Working with Kate was a life changing experience for my mindset, health, well-being and my business. The last thing that needs to be said, is the women Kate attracts are the best people I have in circle. You will meet the most extraordinary people just by being in her circle. I am just so grateful for the journey I have had with Kate. I met Kate five years ago at her very first retreat. Since then I have done 1:1 coaching, participated in the Inspired Impact™ Book Series, attended almost every event she has had and joined her high level Mastermind Program. There has been so much that has happened to me in the last 5 years, I still sit back in amazement. From creating my own greetings cards and journal, to mentoring others through a journaling and writing program all the way to becoming a #1 best-selling author. I am just so grateful. But if I had to take away one thing from it all, it would be the amazing community that I have become a part of that has changed every aspect of my life. Kate Butler is amazing. Not only is she an incredible woman, but also an incredible leader and visionary. She has such a unique ability to see that one thing that makes people BRILLIANT. She changed the course of my life forever. I always knew I meant for something more, something great, but I could never quite put it together and Kate helped me access my highest purpose for this life. But what’s even more amazing is that she gave me the tools and framework to turn it into a powerful platform from which to create change. She also helped me create a system that worked for me, that was perfectly suited for the impact that I am supposed to make in this world. If you ever get a chance to work with Kate, don’t miss it! She will change your life forever. And just knowing her will make you a better person, all together. I just finished the most amazing two-day retreat with Kate Butler that we hosted for her authors of the Inspired Impact Book Series. 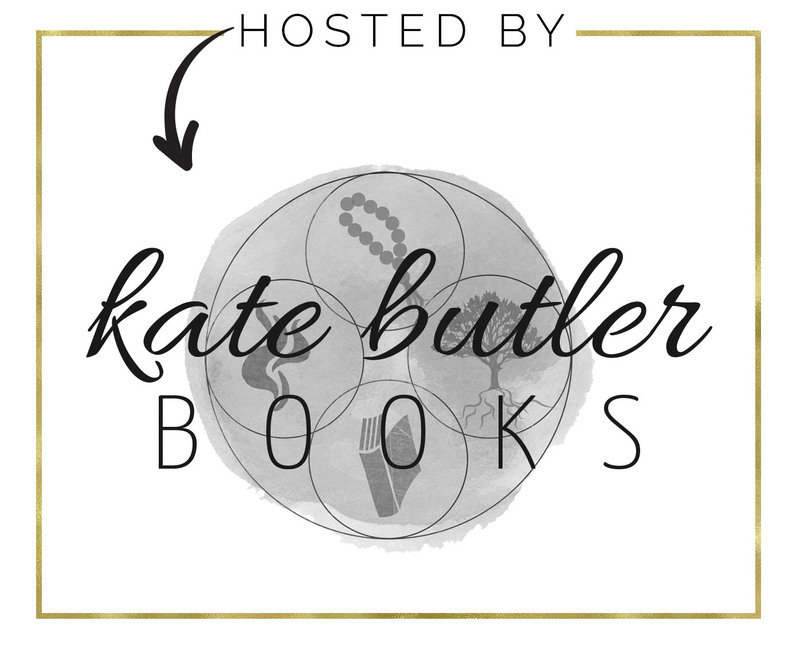 If you are interested in writing a book, publishing a best-seller or want to learn how to market your book, make sure you work with Kate, she is the master at best-seller publishing! She changes the lives and businesses of the women she works with. She truly takes you from where you are to where you want to go. I met Kate for the first time at her retreat in the South of France and I have to say, I was blown away immediately. I did not know what type of experience to expect, but right away I felt relief and completely safe. Our time together transformed my life. I have learned a tremendous amount that has changed my life in every area. I have been filled with so much love by a person that did not even know me. Kate just opened up her heart, accepted me in and was able to show me new awarenesses though her teachings that totally transformed my life. I am forever grateful that the universe brought us together. You are such a powerhouse. The similarities of what you were going through at my age is inspiring for me. I was very close to giving up and flooded in hormones and depression, trying to make sense of everything I had been through as a young girl. But moments like last weekend being able to break down to you and feel safe and so supported like I never have been are times when I’m reassured why I didn’t give up years ago. Knowing you and the other women at the event is the women support I’ve been yearning for my entire life. You seriously help me believe in my life and why I am here and I can’t thank you enough, Kate. I’m so blessed to know women who are exactly who and where I know I will be as I grow, set boundaries, and follow my intuition. None of what I told you has a hold on me anymore, and after this weekend the things that were holding me back on Friday we’re no longer by Sunday. It really is all about getting out of your own damn way! I truly and deeply believe in this work and what it can do to save lives. So happy to be on this journey with you! Thank you for your light. It was EXACTLY one year ago this very weekend in Philly that Ignited me, thanks to Kate Butler. Wow, what a difference one year can make! Talk about an incredible woman! Thank you for not only the opportunity and platform to share with these exceptional ladies, thank you for sharing your vision and talents through mentorship as well! You are astounding! I’m in awe! So so so proud and appreciative of all of your support, Kate Butler. Thank you, for not just making my dream of becoming a published author come true but topping it off with #1 best selling in 3 categories….pure magic. Not only have the Testimonials from those who have read my story and our book been none stop…some of those who have purchased “Women Who Influence” have also now ordered copies to gift! AND one of the most influential speakers in the world has a personalized signed copy from me! Feeling so blessed! Ok, Kate Butler – I MUST tell you something from the bottom of my heart. I am sitting here today watching you empower women to make their dreams come true and I’m also working away on a project that is so special to me that I BLOCKED it from existence for almost a year because I wasn’t feeling good about HOW I was creating. Well, one special comment from you at the retreat this winter unblocked me and I’ve been working on it ever since and today, watching the co-authors from WOMEN WHO INFLUENCE and you work so diligently to bring this beautiful, heartfelt creation to the world has left me more inspired than I’ve been in months and months and months and more encouraged to shine my light than I’ve ever been able to before and I just want you to know that you did that. You impacted me in such a profound way just by being you, authentic, beautiful, sparkly haired – you. I cannot thank you enough for changing my life for the better, for helping me realize my dream of becoming a best-selling author, for giving me permission to create a company I feel good about in a way that is authentic to me without all the pressure and expectation of anything other than stepping into my highest self. You have given me permission to shine and the beautiful women in your book series especially those in the book launching today. You have reminded me that when we all focus on our purpose, create a seat for ourselves at the table and step into our power that we truly shine and give other people permission to shine and create a ripple effect that we may not even understand. I adore you. Thank you from the bottom of my heart. WOW! I only imagined what writing this book would mean or the impact it could have! We made it to the #1 spot of the International Best Sellers list and the Best Sellers list across 14 categories! Hundreds of people will soon be reading our book! We could not have accomplished this without all of your support, Kate! Keep spreading the word! It is important to understand we all have the power of choice and to be heard! My heart is full! Thank you very much! *HAPPY DANCING ALL DAY LONG* I am so grateful to have been part of this project. There are so many incredible stories and truly something in this book for everyone. I have only known Kate for about 2 years but honestly, I feel like I have known her for a lifetime. That is just the kind of beautiful soul that she is…always welcoming I initially wanted to work with Kate because I had so many limiting beliefs about myself and mental blocks that I needed to work through. Not only did she help me break through those barriers but she also helped me to believe in myself. I have completed most of her programs and attended her retreats. Kate has given me the tools to live my best life and I am looking forward to sharing those tools and my knowledge to serve others through my own coaching business. I am so excited for what the future holds for me and ……for those I am about to meet! Words could never express enough how blessed and grateful I am that Kate came into my life….but I do know it was not just a coincidence but God’s plan! I have always known there was something more, something that I was on the cusp of knowing but didn’t really know. I started several years ago with a few “self-help” books. I would read them and somewhat put the ideas into play but shortly after let them go. I would make an effort then stop because I didn’t truly understand or have other that I knew of that were experiencing this same feelings and need for more that I was. Until September 2015. When an invitation to a retreat changed my life forever. I have known Kate in a professional way from years ago and for some reason felt drawn to her and we kept in touch. We had spoken on several occasion over the years but all related to our mutual profession. I started seeing her posts that were uplifting and resonated with me and felt the need to stay in touch. In September of 2015 Kate emailed me that she would be in SC for a retreat and asked if I would like to attend. I did not hesitate to say yes but I was not real sure why. I had no idea that it would be the start of a truly life changing experience. This 2 day commitment was an awakening for me. It helped me see my power, my worth, my positives and the negatives I carried daily. It helped me reflect on the past and let it go! I began to understand my power and this retreat gave me tools to focus on the future and really for the first time see my true desires. I gained tools to help me move forward in life and in the direction of HAPPINESS. I gained a TRIBE of amazing women that want to see me succeed and lift me up daily still to this day. Kate’s insight, passion and understanding of where I was and where I wanted to be was surprising and pure. After Kate’s retreat I had my financial best 3 months of my 18 year career! I started planning my own business and not only dreaming about the future but planning it as if it was already mine. I knew that one weekend would not be all I needed but it was the jumpstart to an amazing rest of my life. I then registered for a follow up 3 months program that contained to provide me with the guidance, motivation, confidence, friendships and tools that I needed to continue to think big and take action. I am so thankful that I was lead to Kate and her passion and that I now have a TRIBE that helps me daily keep things in perspective and moving forward. I cannot imagine a life now without this understanding and these people. As I wind down this year, I wanted to tell you how grateful I am to have you in my life. You are the very first person that I truly explored personal development and growth with on a deeper level. You are the first person that inspired me to invest in myself. You are the person that inspired me to be a coach. You believed in me. You “shoved” me. You loved me. You lifted me up when I fell down. You led with grace and dignity and looked back to make sure I was still on the right path. Kate is the best, and when I say the best, I mean THE BEST. I first approached Kate about her coaching program nine months ago. I was at a low point. With a lot of ambition and initiative but absolutely no direction, I found myself wondering what on earth I was doing with my life. Enter Kate! She guided me in accepting my true purpose—and I say “accept” because deep down I already knew, but Kate was instrumental in helping me move past my fear of failure. The reason her program is so successful is because she offers REAL tools and exercises to break free from all the mental clutter, self-doubt, and years of built up societal expectations. She has empowered me by teaching me to improve my energy, open up to abundance, align with my true purpose, and practice meditation/affirmations. I recently attended her Success in the Sand retreat and left feeling like a new person. In just one week since the retreat, so many new opportunities and clients have presented themselves that I’m on the brink of a huge up-level in my business. Now I wake with enthusiasm and a clear purpose everyday. Truly, it has been a life-changing experience and I am so grateful to have met Kate! What can I say about Kate Butler? Lots of thoughts enter my head, and one that is very prominate is that she is 100% a breath of inspiration, positivity, energy and grace. When I began my coaching sessions with Kate, my business was growing and things were moving along at what I thought was a good speed. I was reaching my goals slowly but surely and for the most part happy with where I was on my journey. However, right after our first session together things began to take a VERY positive turn. Kate is a connector and helped me realize where things were out of focus and out of place in my life. She helped me re-focus on what was truly important to me and how to achieve goals both professionally and personally that I didnt even realize I had. After my 4th coaching call with Kate I was extremely clear on my direction and where I was going and headed. The very next week I went into qualification for my next big promotion as a Vice President with my company. I do believe that me achieving this goal that I have had for the last 2 1/2 years has a lot to do with working and talking with Kate! I am so excited for the future and what is possible especially when we learn to align our energy with our passion and just let go! Kate is AH-MAZING to work with. I had the honor to work with her on the Women Who Influence Book project. The experience was beyond my expectations. The book process was intimidating to me however Kate and her team make it super easy and stress-free. The authors only had the responsibility to focus and write our chapters. All the other book details were taken care of for us. The support provided throughout the entire time together was absolutely magnificent. 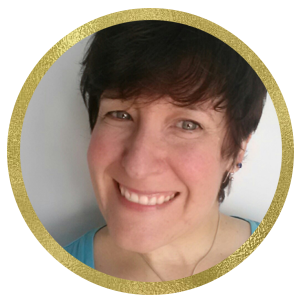 Kate understands the multitude of emotions that arise writing your truth – your message – the vulnerability and rawness of your story being published for the world to read. She gets it and is there to hold your hand in support and guidance. I’m forever grateful for this transformational experience! Words cannot express the gratitude I have for meeting Kate in March. She was a guest speaker at an event I attended. Listening to her story and what she was able to create for herself despite what life had dealt her was such an inspiration. She shared real concrete tools that I use on a daily basis to live from that place of connection with the Divine within me. Kate is soulful and strategic, magic and masterful in her co-creation with Source. I left the event having recognized myself as a Soulful entrepreneur who was ready to go out into the world and truly be heard. I’ve since signed up to be a part of Kate’s Women Who Impact book and traveled to the South of France for a retreat full of miracles. I have had a couple of requests to speak and I am finally in a place where I feel worthy to put my message out into the world. I had never quite found women doing business in the way I had always dreamed of and with Kate, I had an opportunity to see someone able to claim all aspects of herself and succeeding beyond belief. So much has happened in the last 3 months. Kate is a powerhouse and her ability to see me so clearly helped me see myself through her eyes. I I feel unstoppable!! !